The following area schools are closed Thursday, April 11, 2019, due to snow. Both the Winona and Red Wing campuses of Minnesota State College Southeast will close for the day at 3 p.m. today — Wednesday, April 10 — due to weather conditions. All afternoon and evening classes and activities are canceled and campus buildings will be closed. Weather conditions created fog that obscured Lake Pepin on April 7, 2019. 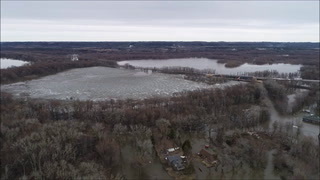 Watch this animation of rising water at Ohuta Beach in Lake City. Photos were taken between March 23 and April 2, 2019.